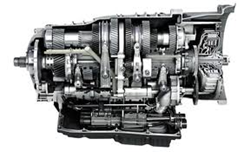 Mitsubishi Outlander transmissions are now priced lower for purchasers using the Got Transmissions company in 2014. The preowned assemblies in stock are now under a new price schedule. The support for foreign vehicle parts has improved our relationships with consumers who are unable to locate retailers offering imported parts for sale. Sales of Mitsubishi vehicles in the North American market have increased partly due to new models available to the public. The Got Transmissions company is now offering sales of Mitsubishi Outlander transmissions at a special price point at http://gottransmissions.com/mitsubishi-transmissions.html. The new sale program provides a better price point for Mitsubishi vehicle owners and servicers. Because retail prices for gearboxes can be higher in some markets, the sale program is offered as an alternative. "The support for foreign vehicle parts has improved our relationships with consumers who are unable to locate retailers offering imported parts for sale," a Got Transmissions rep said. The change in retail price structure for the Outlander transmissions for sale is meant to complement the additional incentives that parts purchasers receive at the point of sale in 2014. The one-year warranty extension policy in place is now included with each gearbox sold. "Many used gearboxes can have higher that expected mileage and our warranty policy is offered as a trusted way to get more use out of a preowned unit," the rep included. The Got Transmissions company has improved its shipping services this year and has reached new agreements with freight providers. An offer for free shipping on all transmissions is applied to each sale processed through 2016 in North America. The GotTransmissions.com company supplies used vehicle transmissions to consumers at prices that are under established retail prices in the U.S. The company website was launched seven years ago and is now a top source for reviewing inventory available. The GotTransmissions.com company has pioneered the development of a quotation tool that is available daily for comparing prices for vehicle transmissions on the Internet. From warranty programs to same day shipping solutions, consumers receive benefits from daily visits to the company website.